April Thresher ’20, an ElmSTEMs scholar and chemistry major, is taking full advantage of the research opportunities available at Elms. 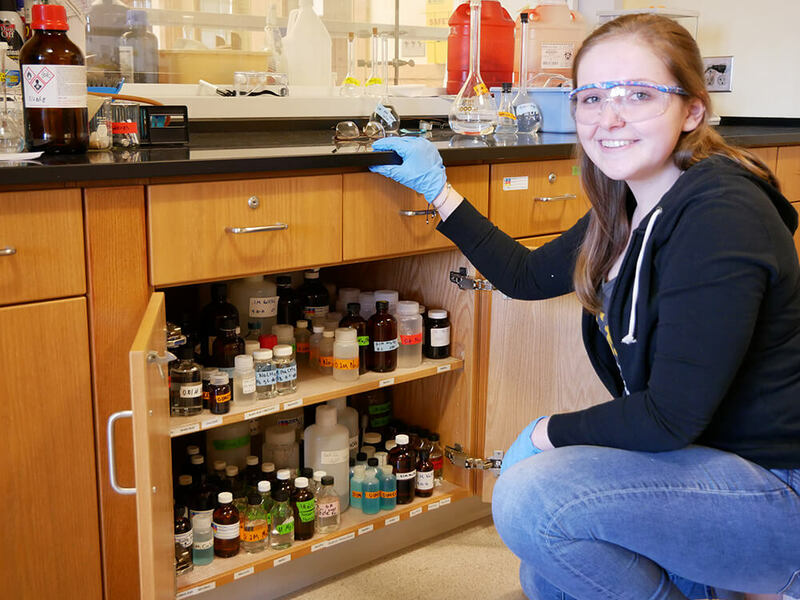 Even though April Thresher ’20 commutes to campus every day, she’ll tell you that she actually lives on campus — her room just happens to be in the chemistry lab. As an ElmSTEM scholar, April packs her schedule with science seminars, conference presentations, and research projects with faculty. Why the mad dash? According to April, it’s because there is a never-ending list of questions to ask about the universe. After earning a $10,000-per-year scholarship from the National Science Foundation, April catalyzed her studies at Elms, immediately partnering with science faculty on real-world research projects. 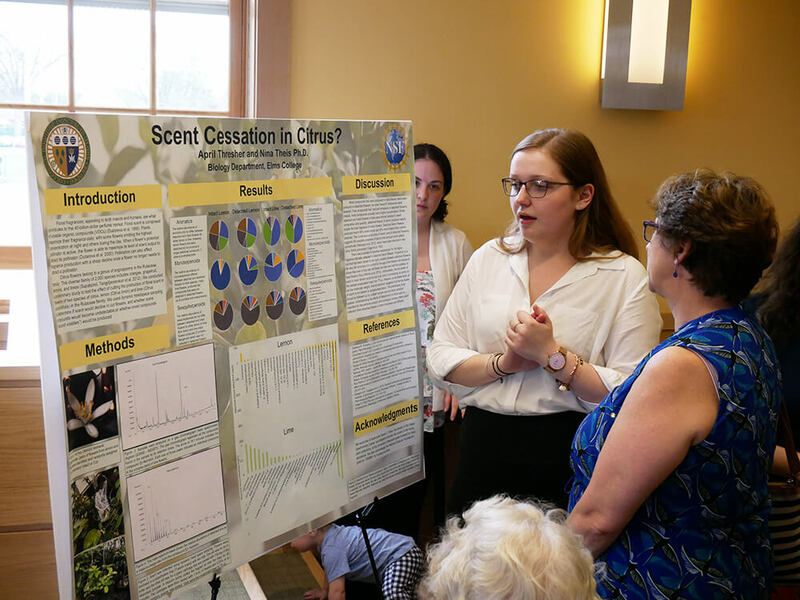 Most recently, she presented her research with Nina Theis, Ph.D., at the Eastern New England Biological Conference, showcasing the results of “Scent Cessation in Citrus.” Alongside Professor Theis — whose research centers around fragrance production of flowers — April investigated whether cut flowers have a less-potent scent than that of their intact counterparts. “We focused our research on the perfume industry, and what perfumers would use — either cut or intact flowers,” she said. “It was pretty cool for my first research project. I got to see the whole process, how time consuming it is. In addition to all the face time with faculty and local science gurus, April values being an ElmSTEM scholar because it gives her the chance to set an example for future generations of women scientists. On campus, April fulfills this role as a mentor in general chemistry lab sessions. Along with Beatrice Luzgin, Ph.D., April prepares raw materials and lab equipment, answers questions, and ensures that experiments run safely. While she still has plenty she wants to accomplish before graduating from Elms, April plans on a career as a research scientist, investigating mental health and illness. Do you share April’s passion for chemistry? 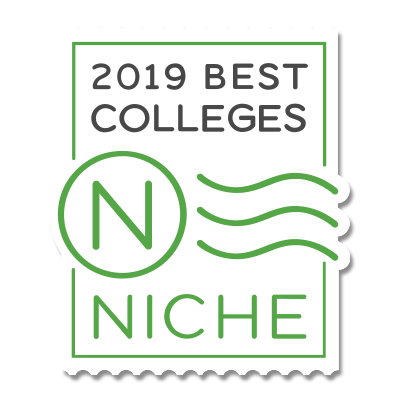 If so, we encourage you to contact us or schedule a campus visit to learn how Elms College can help you transform your natural curiosity into a rewarding career.